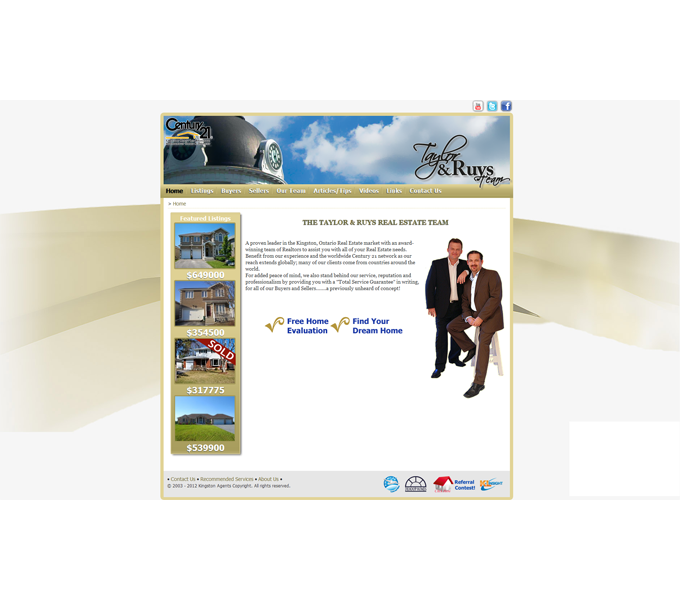 Taylor and Ruys Real Estate wanted a fresh, new website design. They came to the Kingston Web Design experts at KL Insight, knowing that they wanted something new. It was now up to KL Insight to deliver content unlike any other real estate website. New website design with a full content management system. KL Insight worked with Taylor and Ruys in developing a new look for their site. The entire site is managed by the client using an easy to use content management system. What makes the site unique is the listings page which includes Google Map integration. 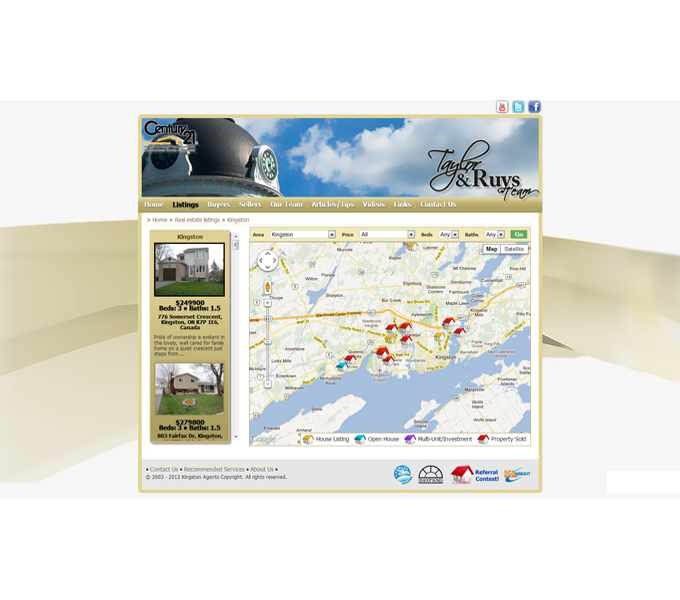 All of Taylor and Ruys listings are presented on a Google map which includes a live street view.